Over the past few years we’ve seen the “big three” US carriers do just about everything they can to generate ancillary revenue. I’d say American and United are generally worse than Delta in this regard, because Delta has actually innovated in some ways, while American and United have almost exclusively followed. One of the areas in which we’ve seen airlines get greedy is with the introduction of basic economy. Basic economy was initially intended as a way for full service carriers to compete with airlines like Frontier and Spirit, but over time it became a way for airlines to simply raise fares. For the most part basic economy pricing stayed the same as the previous “regular” economy pricing, but came with fewer inclusions. Want to get the same things that were included with your ticket previously? Pay an extra $25-30 in each direction. But that’s not how they marketed it. For example, United claimed that basic economy would “provide a lower-fare option,” which mostly wasn’t the case (instead the previous economy fares became basic economy fares, and then the regular economy fares cost $25-30 more). United President Scott Kirby called basic economy “transformational,” which is absolute hogwash. I have a ton of respect for Alaska Airlines, and in particular about how they’ve largely resisted the changes made by other airlines. They continue to award miles based on distance flown rather than dollars spent. However, late last year the airline introduced “Saver Fares,” which are their version of basic economy. The good news is that these fares aren’t quite as restrictive as basic economy on other airlines. Saver fares only allow limited seat selection, the tickets are non-refundable/changeable, and elite benefits don’t apply on the tickets. While the airline rolled these changes out a few months ago, Alaska’s EVP & Chief Commercial Officer, Andrew Harrison, has just sent members an email regarding this fare. The email has the subject line “The story behind Saver fares,” and it’s oddly refreshing to read in a day and age where airline executives are almost constantly lying to us. I am writing today to talk with you about Saver fares, which is a new product Alaska Airlines recently launched. Many of you have written or called us asking for a better understanding of the rationale behind this decision, and I’d like to provide some context for why we launched a new fare class with fewer benefits than other Alaska Airlines products. Saver fares are designed for a specific type of traveler – one who prioritizes price above all else, and not the elite Mileage Plan™ benefits you’ve come to know and love. Saver fares offer cost-conscious guests the absolute lowest fare possible. The trade-off is that these tickets are not refundable, not changeable, and not eligible for front-of-cabin seat selections or complimentary upgrades – even as an elite member. We resisted launching Saver fares, but in recent years the offering of Basic Economy fares by other airlines have become popular among cost-conscious flyers and we started to lose business to the competition. In order for Alaska to be considered by shoppers, we had to reduce our Main Cabin fares to match the lowest published prices of our competitors’ Basic Economy fares, while still offering full Main Cabin benefits. As you can imagine, this became impossible to sustain. This industry shift to Basic Economy has cost Alaska hundreds of millions of dollars over the past few years. It was simply a financial imperative that we launch our own version to protect Alaska Airlines over the long term. 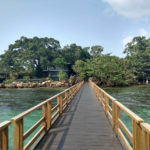 We recognize, in some situations, you will pay more for Main Cabin fares that provide the full suite of the elite benefits you’re accustomed to. Our goal continues to be what it has always been, to fulfill our commitment to maintaining low fares, great service and generous Mileage Plan rewards. The airline industry is constantly changing and often forces us to make difficult decisions, but we remain focused on setting ourselves apart from other airlines. Our Saver fares needed to be more generous than run-of-the-mill Basic Economy fares, and they are. 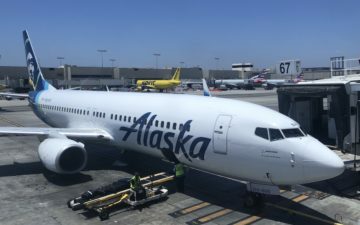 Alaska passengers who purchase Saver fares earn full miles for their trip, are allowed to bring a carry-on bag and in many cases can still be assigned a seat at the time of booking – albeit in the rear of the aircraft. Additionally, elite Mileage Plan members who purchase Saver fares will still enjoy priority boarding. We did a poor job at providing you with enough information well in advance about how Saver fares might impact your elite experience, and for that I apologize. Going forward, we will err on the side of providing our most loyal customers like you with more proactive and transparent communication about product changes of this magnitude — for better or worse. Thank you for your loyalty and understanding. It means the world to us, and we don’t take it for granted. This is one of the most honest emails I’ve received from an airline in a long time, and I appreciate that. What do you make of Alaska’s email about Saver Fares? Definitely great to hear. Seems like this matches with how Alaska generally does business. I don’t mind it, I’ll still pay a little bit more, but the only problem I have is that I haven’t found a way to search on google flights for non-saver Alaska fares, so it seems like Alaska always comes out less than others where you can choose a carryon bag and it shows non-basic economy. Well, something can’t quite be true. Either BE isn’t a pure price increase in disguise or Alaska isn’t actually losing business as a result. If indeed Alaska were losing business due to its competitors offering BE, then there must have been a price reduction in the overall cost of a ticket that prompted price-first consumers to select a competitor over them. The email specifically mentions the introduction of BE by other airlines as the impetus for this move, and not the increased presence of ULCCs competing with them on routes. In other words, I don’t think Alaska is being fully forthright here. Ultimately, I think BE is both a price drop and price increase – a drop for the carry-on only passenger who does not value seat selection or elite benefits and an increase on people who do value those things. So at least the email is honest that elites are going to subsidize the price drop for less-frequent travelers. Certainly, I think these moves beg the question about what additional value proposition “full service” carriers offer against ULCCs in terms of onboard experience (i.e., not counting better route redundancies during IRROPS, etc.). BE prices on such carriers are still higher than those offered by ULCCs, so the price-conscious consumer is still likely to pick a ULCC against a full service carrier if they have the option to do so. I think full service carriers do damage to their brand by trying to differentiate so much between a single product; ULCCs don’t have the same thing at stake because everything is a la carte to begin with. I fly basic economy from time to time (mostly on AA), and I like that Alaska’s “Saver” fares allow seat selection. Sure, it’s in the back of the plane, but if I can know ahead that I’ll not be stuck in a middle seat, I’d be more likely to book through Alaska than another airline with the same price for basic. I am glad that most basic or saver fares are allowing a carry on. I hated that AA only allowed a personal item for quite a while. I’m skilled at packing a suitcase and managed a week’s worth of clothes in my underseat bag, but it wasn’t fun! I understand that some users are cost conscious, but being cost conscious is not mutually exclusive to frequent traveling. Indeed, some frequent travelers (e.g., that travel on their own dime) are very conscientious specifically because they have to fly a lot. Right now, as things stand, Gold and Gold 75K members are forced to decide to take a Saver ticket (often at the price of a Main Cabin ticket in 2018) with no chance of an upgrade, or a Main Cabin for that chance. In general, I’m viewing it as paying $20-40 for a chance of an upgrade. The decision may vary by person and for a particular route. I acknowledge that this is a first-world problem and that AS does not owe us anything (even Gold 75K members) and have already done a decent job with their Saver fares (as compared to other BEs), but if FC seats are going unused, why not provide an upgrade? I much prefer to fly with airlines that are straight out and honest – I like to know where I stand and that’s becoming a big problem with air travel – especially in the US. And Lucky, thank you for telling it how it is – BE is simply regular economy prices with none of the benefits. I can’t believe how many people have been hoodwinked by this. Quick case in point – the other day I was researching fares between BOS – MCO (Orlando). Here’s the thing – for the same day and similar time of day, Delta was offering cheaper economy fares – with luggage, food, etc included, than United which did not even include carry-on! Can’t these shifty airlines go bankrupt already??? It’s slightly overstating things to say that you don’t get elite benefits; you don’t get elite seat benefits (no upgrade, no good seat selection), but you do get baggage and boarding and mileage earning. Free baggage is totally useful on short flights to NW destinations – I’ve rolled up to the MVP counter with multiple friends with lots of skiing baggage, and everyone was happy to not get charged. For short flights, this is easy: if I’m flying for an hour on a small plane, the good seats aren’t much better than the bad seats, so I’ll take $20 or so and sit wherever AS rolls the dice. Flying SEA to SAN it’s more annoying; it does feel like the cheapest flights used to be $79, and now they’re something like $64 saver/$94 main cabin. So yes, you can fly for less (and I did pick up a sale saver SEA=>SAN rt for $116.60 including taxes; at that price, I’ll put up with the back of the plane), but it seems like it’s just a price hike for me since SEASAN is my most common route. @NAUgrad05 – AS saver fares don’t allow seat selection. 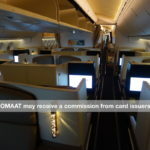 You have to upgrade to Premium, and the upgrade to premium is more expensive from saver – for a SEA => SAN flight, it’s normally $45, and they want $75 to upgrade me from a saver fare. Will be interesting to see if only elite mileage plan members warrant an email explanation, as opposed to those of us who don’t credit miles from international travel on partner airlines to earn status. The saver prices are the old sale prices. But as long as you have an Alaska credit card (for free bags), book out in advance (while seat selection is still available), and are willing to sit by the bathroom, the new system works out ok.
Alaska has made a lot of un-family-friendly changes lately, but at least I can take advantage of a sale and still be confirmed to sit next to my kid. Lucky, your permanent jet lag might be catching up to you!! @James. In my experience Alaska makes a small handful of seats available for seat selection at the back of the plane on saver awards. They show in a different color when you pick seats. I assume that once those are taken you just have to sit where they put you on a saver fare. Once again…the market’s purchasing habits are driving prices to the lowest common denominator. This is why I can’t take people seriously when they complain about a lack of service/seat selection/amenities. Did anyone else read it as more spin and virtually the exact same thing that United, Delta, and American all say. Maybe I missed the big bout of honesty in it that made it so incredible. @Jason. Exactly. That’s why I refuse to fly Spirit. I’m not using my dollars to promote the way they do business; I don’t care how cheap their flights are. As far as basic economy goes, it’s all fine by me. I can get a flight across the country for less than $250. I pack light and don’t mind being in a middle seat for that price. If it really bothered me, then I’d pay the little bit more. How is this refreshing or honest? Alaska basically changed its lowest fares into basic economy. They haven’t lowered the prices. If you look at the marketing nonsense trickled out by the US3, everything is always framed as a “win for the consumer” and that decisions that negatively impact the consumer were actually “driven by passenger feedback”. I didn’t see any of that drivel in the email. Just my take on it. Emails such as this, as well as some personal responses from various folks in the AS hierarchy, are the reason #iflyalaska. This is the airline I’ve known for all the years I’ve been flying with them. No, they aren’t perfect. But they do take ownership for their mistakes, and make sincere attempts to be genuine in every respect. In all fairness, prices must go up at some point. For example, I remember a few days (weeks?) back, all airlines raised their check-in luggage prices. However, the raise was something like 20% ($5 on a $25 fee), which is less than 2%/year for 8 years. that’s about inflation rate. I would imagine same thing here. Look, everyone must be paid more (from FA’s to pilots to those hated executive to those greed shareholders). Inflation is burning a hole in everyone wallet. This means someone (yes, you, passengers) has to pay more. But no one wants to pay more. Such is the dilemma. So, yes, airlines “lie” to us to raise the price. But they *must* raise the prices. This whole “BE” does help make the matter look slightly softened. But then again, I have bad habit of giving others benefit of the doubt. As nice as the email comes across there’s two things that don’t add up. 1) earnings the past couple years for Alaska Airlines have been the highest ever. I don’t know if they were losing customers as much as they were losing greater opportunities to pad shareholders earnings. 2) when Alaska Airlines started their “SAVER” fares, they literally took the prices that their “MAIN” fares were and applied them to the “SAVER” fares. No one is saving money with the saver fare. You just get less features for the price of what standard fare used to get you and now you pay about $40-60 more round trip than you used to for “MAIN” fare. So as honest as the email comes across theres actually a lot of foul play going on behind the scenes. Alaska is the only airline that price some or say about half of their basic economy price $30 below the regular price!! I used to have to pay at least $80 for a short hop to Seattle. Now I have the option for only $56! That’s a huge difference! From what I can tell BE is last year’s fare. Main cabin is a price increase. I am only an MVP and fly mostly from southern CA to SEA. Based on what I have to pay to change my ticket, the main cabin fare is essentially just as non cancel-able as BE. Might as well pay the BE fare as my chance of an upgrade is almost nil, I get all the other benefits of elite status, and the back of the plane arrives at the same time as the front plus 10 minutes to deplane. @james, you actually CAN choose your seat on an AS save fare, the selection is just a lot less than it might be if you chose a main fare. I just booked two tickets and was able to choose my seat on both (albeit from a limited and in the back of the plane selection). Caveat-I’m an MVP so this may or may not make a difference. @McMunch – I’m a basic MVP too. So it looks like there might be a small number available to reserve in advance, but at some point they run out and you just get whatever you get. I flatly disagree, and would argue this is fundamentally dishonest. First, we can see all of the changes independent from this email, so the email does nothing other than state what is already happening under the guise of transparency. It is impossible to know whether any saver fares are “cheaper” besides taking their word for it. Airfares are notoriously fickle, and I hesitate to swallow their marketing spin on this and just tell myself “I’m saving money!” just because I’m not using my benefits. What I find distasteful is the idea that after earning elite benefits, you are now faced with the proposition of paying MORE money to, essentially, enter a lottery (i.e. upgrades, whether a premium seat is even available, cancellation privileges already “earned”). Conceivably, you could continue paying the higher fare as an elite and get just about no benefit at all. This may have been made palatable by giving elite members some offsetting benefit, say, an additional pair of guest upgrades, or SOMETHING. Then members could feel good about sticking with Alaska and not feel like they’re being squeezed for their loyalty. In the end, I see this as another cynical push to see what consumers will swallow. 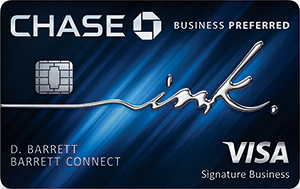 How does this work for non-elites with the BofA Visa card (ie many of us)? Do we still get the free checked bag? Assume so. Then really all this means is that you get a crappy seat in the back if you book months out, which is what we got on our last trip. So happy to save the $$$. You come across as being pretty gullible here. 1. If they had to reduce their main cabin fares to match the basic economy fares on other airlines, then either the basic economy fares are cheaper (which you claim they aren’t) or Alaska have raised their fares. So what makes them so special? 2. Nothing they’ve said about motivation is any different to the other airlines and they use just as wishy-washy language as the others did. Ironic given you’re gushing over their “honesty”! It’s a great email. Everyone else pitched BE as a customer-friendly “enhancement.” AS, by contrast, admits they didn’t want to offer a lower benefits fare, but were forced to do so by market forces. But then how can Southwest still offer 2 checked bags and free soft drinks on a wanna get away fare and still turn a profit? Appreciated the email because I observed that current BE sale fares were the same as Main sale fares last fall, at least PDX>BUR. So, in some ways, BE generates higher Main fares. However, I can’t complain since I bought a $34 ticket, PDX>PAE and returning on a $39 ticket. All basic economy. Got to choose my seat in the back of the plane, but it’s only an hour flight AND I will get 1,000 miles plus bonus! I usually find AS first class seats so cheap and plentiful that I don’t play an upgrade lottery. They aren’t great, but certainly better than squeezing in the back, whether for an hour or four. Hello, I appreciate the “honesty” in the letter but I was really sad to see Alaska go that direction. We have been loyal Alaska Airline customers for almost 20 years and loved the fact that they didn’t play games and have a bunch of gimmicks, we stayed loyal to them because of that but now I feel like they are like everybody else. You can’t just buy a ticket, you have hoops to jump through and extra fees to pay. Just be honest and include everything in the ticket price and don’t play games with us. should have been edited to say: “We recognize, in MOST situations, you will pay more for Main Cabin fares that provide the full suite of the elite benefits you’re accustomed to. For the most part, saver fares are priced where main cabin fares used to be. What they were missing was the corporate portal revenue that they can now get on higher main fares. If the email were honest it would say that as well as “this Virgin merger was pretty expensive and we need to raise fares to make up for it; since Delta is challenging us directly our only option is to cut some perks”. Oh well, when they cut their fare guarantee, I gave up going for mvp and just went to Southwest. @Lucky, I’ve seen this comment in the blog a lot about how BE fares at the big three are just a way to raise prices and while I don’t disagree I was wondering what this claim is based off of? Do you have a write up with data to back this up? Would love to see the numbers. Not trying to be combative just generally curious because if that were the case, how would Alaska be losing business to the big three? It seems like they are not able to compete on price at present in their MC without dropping the price as they mentioned which to me would imply that BE is in fact cheaper than previous MC for the big three. Still a degradation of what was a great airline. While I was trying to finalize booking my trip to the PNW from HNL, I was doing it smack dab on the day they rolled out “saver” for HNL-PDX. This completely messed everything up because I was using my companion fare and caused initial headaches trying to open jaw my trip back with a return from SEA. That was until they introduced saver fares for SEA to HNL. Anyway I noticed right off the bat that the saver fares were merely the same price as the lowest available main cabin. I wrote an email calling out Alaska about this (and due to the lack of saver between SEA and HNL my trip was suddenly more expensive for no reason) and Alaska sent me a $50 voucher. Small potatoes, would have rather had miles since the voucher can’t be used with my companion fare, but at least the CS department acknowledged my pain.